Because alcohol is legal, its use is often overlooked as a serious problem. It’s easy to get. It’s highly accepted. It’s used for parties, celebrations, victories, times of sorrow and out of habit. The sad thing about alcohol is it very rarely affects just the drinker. In too many cases, the negative effects on children — especially those of women who drank during pregnancy — can last a lifetime. “One in five adult Americans have lived with an alcoholic relative while growing up. In general, these children are at greater risk for having emotional problems than children whose parents are not alcoholics. Alcoholism runs in families, and children of alcoholics are four times more likely than other children to become alcoholics themselves.” (“Children Of Alcoholics,” 2011, December) Being a child of an alcoholic often results in feelings and emotions that the child is left to sort out all alone. Feelings of depression, guilt, embarrassment, anger, anxiety, fear, confusion and helplessness are just some of the day-to-day emotions the child is left to process. (“Are Children of Alcoholics Different?”, n.d.) Being a child of an alcoholic, I can attest to how hard the situation truly is. The unpredictability, not knowing what would “set them off,” what was OK yesterday but isn’t today. The mood swings, the arguing, having an absent parent, so many unanswered questions is never easy to understand as a child. “Today in the United States alone there are an estimated 28 million children who have alcoholic parents.” (“Family Alcoholism Statistics,” 2013) If a pregnant mother is drinking, the effects on the unborn child can be severe and lifelong. 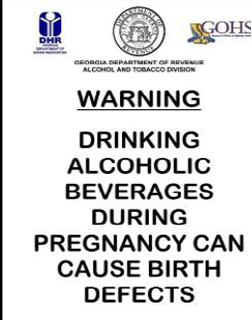 Alcohol is the leading cause of birth defects in this country, along with stillbirths and miscarriages. FAS (Fetal Alcohol Syndrome) and FAE (Fetal Alcohol Effect) are scary examples of 100% preventable, lifetime disorders due to a mother’s drinking while pregnant. The best preventative against FAS and FAE is to never drink during pregnancy. If you didn’t know you were pregnant, stop immediately once you have found out. If one is an alcoholic, get help. If you are an alcoholic and have kids, run for help. Not only does your life depend on it, but so does your child’s. There are several options for help in Vermont: AA meetings, support groups, counseling, rehab centers for the alcoholic and also for the alcoholic and their young child. Phoenix House Vermont is such a place. Phoenix House offers comprehensive and professional services for pregnant women and mothers and their young children in residential settings. This is a great opportunity for sobriety, support and counseling for the mother while ensuring love and safety for the child. The Lund in Burlington offers a similar program. Tina Bills: I was born and raised in the pretty state of Vermont. Although I love to travel, Vermont is where I hang my hat! I am married and the mother of five children ranging from 5-26 years of age. I am the owner/ operator of Sunny Lane Daycare Center & Preschool in Brookline, Vt. This is my pride and joy, my passion. I am proud to be doing one of the most important jobs there is while making a difference in so many children’s lives. I enjoy any time I have with my family. I love to hike, bike, fish, visit my older children, and my newly found love, running 5Ks.